The United Transport and Logistics Company – Eurasian Rail Alliance (UTLC ERA) and the Slovakian rail cargo company ZSSK CARGO have signed a Memorandum of Understanding concerning possible future cooperation in the area of freight and container transport on the route between Europe and China. The document was signed at the International Railway Congress in Vienna, Austria, on 19 March 2019. 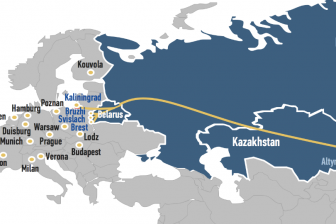 The signing of this Memorandum of Understanding with ZSSK CARGO provides for a significant expansion of the UTLC ERA family partners’ network and represents a considerable contribution to the further development of rail transport along the Eurasian corridor. 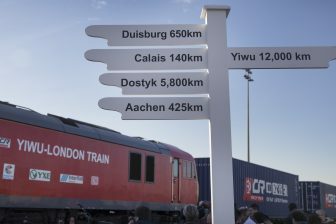 As part of this agreement both parties will work to develop effective container transport services between Europe and China with the aim of achieving further increases in rail freight transportation capacity. UTLC ERA will be responsible for all terminal-to-terminal shipping along the 1520 mm broad gauge routes, while ZSSK CARGO will provide equivalent services on the 1435 mm standard European gauge routes. UTLC ERA is a leading operator of container transit services by rail on China-Europe-China routes. The company was founded and is owned in equal parts by Russian Railways (RZhD), Belarusian Railways and Kazakhstan Railways. In 2018 UTLC ERA’s transport volume was 280,000 TEU, an increase of 60 per cent compared to 2017. Every day up to 15 container trains belonging to UTLC ERA start their journey on the 1520 mm broad gauge rail network.